A great call to worship and praise! The syncopated rhythms and soaring melody offer a stirring anthem of personal commitment. 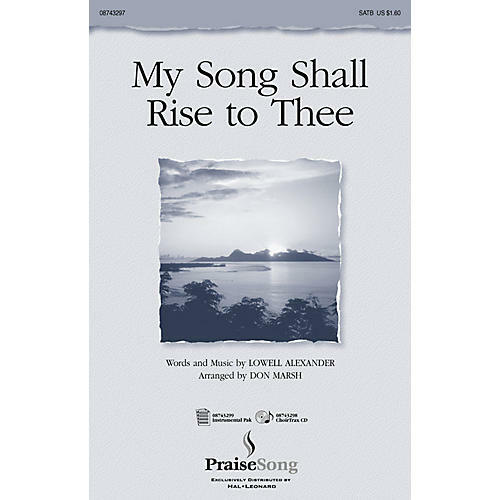 In every way, for all my days...with heart and soul I'll sing...my song shall rise to thee!Available separately: SATB, ChoirTrax CD and Instrumental Pak (score and parts for full orchestra).